Mixers are widely used in kitchen and bathrooms for most homes. Our comprehensive range of mixers is sourced from well known brands like Grohe, Abagno, PAFFONI and Fonte, with all bearing their unique design language. 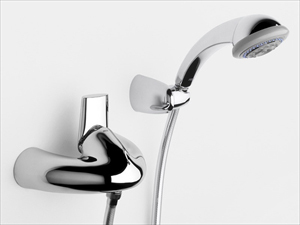 Here you will find bathroom and kitchen mixers for basins, sinks, showers, bath tubs and bidets. Our selection covers essential functionalities, which will help you work around your kitchen and bathrooms easier. Whatever your requirements are, we promise we have the perfect mixer for you.